I think I have too many projects going right now. So progress is slow on all. I need to make a rotational schedule so I am more productive. I would like to finish at least 3 projects before the end of the summer. I’m not quite sure which ones to focus on. I have 3 knitting projects and 4 cross stitch projects going right now. My Tidal wave Socks are 3/4 done so I will probably finish those for sure. I would like to finish my Medieval Sampler this summer. 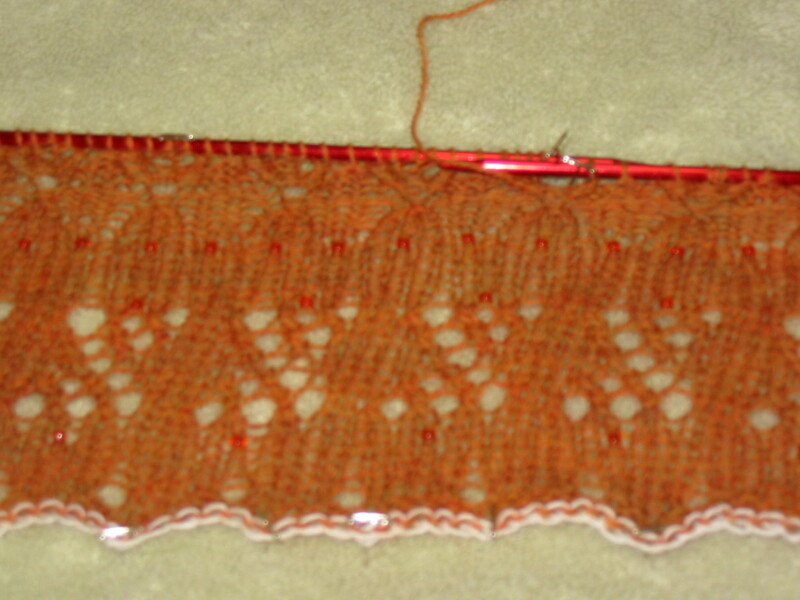 Now I need to pick one other project to finish – I am leaning toward the Casablanca Shawl.